Looks like I will be posting more of Benefit's different products. Most of my backlogs are reviews of Benefit product so bear with it. Remember BDJ's June beauty box? Most of the contents there were already used yet no single post was made. So now, it's the perfect time to make use of my Christmas break by catching up on all my back logs. Another product I used was the Benefit's They're Real Mascara. I got a deluxe sample from the said subscription. I actually got it's partner They're Real Push-Up Liner from a giveaway and loving it! Review again on that soon! Apart from Korean products which I normally purchased and used, I am slowly becoming a Benebabe! Their deluxe sample was only 30g and since it's so small, you can actually slip it on your pocket for touch up! Touch-ups though is not a problem because it's long wearing. I like the mascara's brush because it volumizes and lengthens the lashes. It has staggered bristles that defines the tiniest lash. I don't normally use mascara on my lower lash but with this precision bristles, I can easily apply them. However, I have a little problem with the smudging part. I noticed that after using it for a couple of hours, it smudges even if I only worn it on the top lashes. Well, that's a bummer for me! 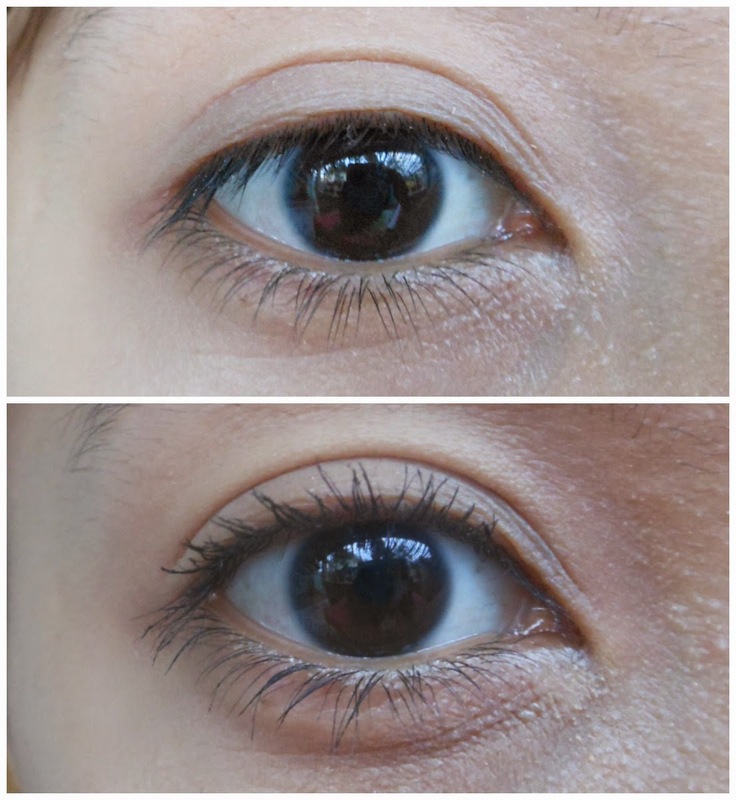 Look how nice the volume this mascara gives. The only thing about it though is that it smudges. Sometimes it does, sometimes it doesn't. I really don't get the theory why it happens.